(p. B1) When Carol Sue Johnson, 73, wheels her silver Mazda S.U.V. out of her driveway in suburban Minneapolis, she doesn’t know how much money she will make driving for the ride-hailing service Uber, but she’s sure she will have an adventure. Her passengers run the gamut, she said, from three visiting Chinese business executives who were surprised to see a female driver, to teenagers needing a ride to hockey practices or games. (p. B4) For most senior drivers, the biggest advantage is the extra income. Many of those who continue working after 65 do so because they would be too poor otherwise, according to a new report from the labor-backed Economic Policy Institute that found the current retirement system inadequate. But driving for a ride-booking service, some retirees said, also can offer more than money. “I love the freedom, the flexibility — and the cash coming in every week,” said Maureen Mahon, 59, who first saw an Uber advertisement on the side of a bus in Manhattan. Ms. Mahon, who lives in Brick Township, N.J., said she had been laid off twice in recent years from Wall Street, and has been driving intermittently since mid-2014. Another attraction, compared to driving a taxi, is safety, since customers are screened and no cash is exchanged. So, too, is the opportunity for drivers to shape the job on their own terms. ELIZABETH OLSON. “Retiring; Retired, and Now Hitting the Road for Uber and Lyft.” The New York Times (Sat., JAN. 23, 2016): B1 & B4. (p. A1) Many researchers have argued that a rise in the planet’s average global air temperature of two degrees or more above preindustrial levels would usher in catastrophic climate change. But many others, while convinced the planet is warming, say two degrees is a somewhat arbitrary threshold based on tenuous research, and therefore an impractical spur to policy action. Policy makers tend to assume the two-degree target expresses a solid scientific view, but it doesn’t. The exhaustive reports published by the United Nations Intergovernmental Panel on Climate Change are considered to be the most comprehensive analysis of the science of global warming. Yet the two-degree limit isn’t mentioned in a single IPCC report. (p. A12) William Nordhaus, a professor of economics at Yale University, appears to have been the first to mention the two-degree figure in a paper published in 1977. But rather than making a robust scientific calculation based on the physics of climate change, his paper argued that a rise of two or more degrees would put the earth’s climate outside the observable range of temperature over the last several hundred thousand years. 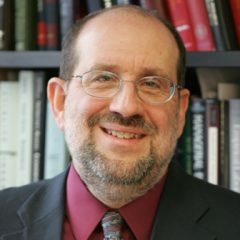 In October 2014, David Victor, a professor of international relations at the University of California, San Diego, and Charles Kennel, a professor at the Scripps Institution of Oceanography in La Jolla, Calif., wrote a sharp critique of the two-degree benchmark in the journal Nature. They argued that the yardstick was scientifically weak because it captured only a tiny portion of the planet’s climate profile. More than 93% of the extra heat, they noted, ends up in the ocean and not in the atmosphere. GAUTAM NAIK. “Scientists Dispute 2-Degree Model Guiding Climate Talks.” The Wall Street Journal (Mon., Nov. 30, 2015): A1 & A12. Victor, David G., and Charles F. Kennel. “Climate Policy: Ditch the 2 °C Warming Goal.” Nature 514, no. 7520 (Oct. 2, 2014): 30-31. That crucial moment? The bankruptcy of Lehman Brothers. Mr. Bernanke, in perhaps the most candid explanation of Lehman’s 2008 collapse, writes that he and Henry M. Paulson, then the treasury secretary, purposely obfuscated when asked about Lehman’s demise early on, allowing a narrative to develop that the government had purposely let the firm fail. Sorkin, Andrew Ross. “In Bernanke’s Memoir, a Candid Look at Lehman.” The New York Times (Tues., OCT. 6, 2015): B1 & B4. Bernanke, Ben S. The Courage to Act: A Memoir of a Crisis and Its Aftermath. New York: W. W. Norton & Co., 2015. (p. C8) Dozens of economists polled by The Wall Street Journal had correctly predicted a drop, but one that was far less severe – negative 0.2% compared with the actual 0.6% month-over-month decline. But they weren’t bothered by the discrepancy, blaming it on the weather. While that sounds like executives on a conference call throwing up excuses for a “miss” following quarterly earnings, the weather really did play a role. November was unusually mild and utility output was 7.6% lower than a year earlier. Manufacturing, by contrast, rose nearly 1%. The surprising thing is that this wasn’t anticipated. Since few of the economists surveyed live in balmy places like Florida, they somehow failed to notice that they didn’t have to put on a heavy coat or sweater last month when heading into their offices to crank out forecasts. SPENCER JAKAB. “OVERHEARD.” The Wall Street Journal (Thurs., Dec 17, 2015): C8. (p. B1) DAVOS, Switzerland — At the World Economic Forum here, chief executives and investors are blaming China for a slump in global markets. Fears about the country’s downshift, as its official growth slowed to a quarter-century low, have dominated high-level discussions, both during public debates and in smaller, private meetings. The financier George Soros said at a dinner on Wednesday night [January 20, 2016] that a “hard landing is practically unavoidable,” adding that China is the root of the current financial crisis. Others with bearish views on China have kept their claws out. Jim S. Chanos, who once said China was “on a treadmill to hell,” said he remained deeply concerned. His hedge fund, Kynikos Associates, estimated that China’s nominal gross domestic growth in 2015 was 5 percent compared with 15 percent just five years earlier. “China’s debt problems still lie ahead of it,” Mr. Chanos said on Thursday, referring to concerns about the extent to which China’s seeming economic growth is actually fueled by borrowing. As for Mr. Soros, he told an audience at the Panorama Restaurant in the Seehof Hotel in Davos this year that the Chinese had waited too long to properly address the transition of its growth model. Asked by a Bloomberg reporter if there was a risk of repeating 2008, Mr. Soros said the market was in a similar time of financial crisis. ALEXANDRA STEVENSON. “Fears About China’s Economy Fester at Davos.” The New York Times (Sat., JAN. 23, 2016): B1 & B6. (p. A1) WASHINGTON — In the span of a mere 11 days this month, $1 billion in future federal tax payments vanished. As congressional leaders were hastily braiding together a tax and spending bill of more than 2,000 pages, lobbyists swooped in to add 54 words that temporarily preserved a loophole sought by the hotel, restaurant and gambling industries, along with billionaire Wall Street investors, that allowed them to put real estate in trusts and avoid taxes. They won support from the top Senate Democrat, Harry Reid of Nevada, who responded to appeals from executives of casino companies, politically powerful players and huge employers in his state. And the lobbyists even helped draft the crucial language. The small changes, and the enormous windfall they generated, show the power of connected corporate lobbyists to alter a huge bill that is being put together with little time for lawmakers to consider. Throughout the legislation, there were thousands of other add-ons and hard to decipher tax changes. Some executives at companies with the most at stake are also big campaign donors. For example, the family of David Bonderman, a co-founder of TPG Capital, has donated $1.2 million since 2014 to the Senate Majority PAC, a campaign fund with close ties to Mr. Reid and other Senate Democrats. TPG Capital has large holdings in Caesars Entertainment and helps run a Texas-based energy company, both of which stand to benefit from the (p. A17) last-minute change. ERIC LIPTON and LIZ MOYER. “Lobbyists Shield a Tax Loophole Worth $1 Billion.” The New York Times (Mon., DEC. 20, 2015): A1 & A17. Maybe to lead happy or satisfying lives, we need more adventure, or more projects (hard and important ones) to commit ourselves to? (p. 19) Freedom is still out there. We all have our idea of it, the deferred dream. Your psyche builds layers of protection around your most vulnerable traits, which may be closely linked to that precious essence in which freedom resides. Freedom is inseparable from risk. I don’t know if the world is freer than a half-century ago. On paper, it is. The totalitarian Soviet Imperium is gone. The generals who bossed Latin America are gone, generally. Asia has unshackled itself and claims this century as its own. Media has opened out, gone social. Yet minds feel more crimped, fear more pervasive, possibility more limited, adventure more choreographed, politics more stale, economics more skewed, pressure more crushing, escape more elusive. Which brings me to Finnegan’s wonderful book, a kind of hymn to freedom and passion. Freedom is inside you. It’s the thing that cannot be denied. For Finnegan, that’s surfing and writing. “How could you know your limits unless you tested them?” he asks — a question as true before the ferocious energy of the wave as before the infinite possibilities of the written form. Cohen, Roger. “Ways to Be Free.” The New York Times (Sat., JAN. 23, 2016): A19. Finnegan, William. Barbarian Days: A Surfing Life. New York: Penguin Press, 2015.